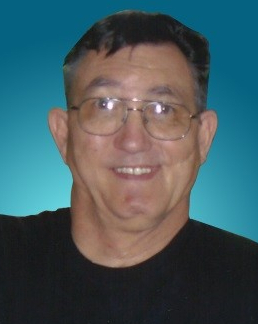 Ronald “Ron” Gene Fuehrer, 69, completed his life’s adventure on Earth August 6, 2018, at Genesis Health Care, Meridian, Idaho due to Colon Cancer. Ron was born May 31, 1949 in Boise, Idaho to Melbert and Jean Paige Hamilton Fuehrer. Ron was rewarded with a little brother Denton seven years later. Both boys were raised in “rural” Treasure Valley. Ron attended Ustick Elementary, Meridian Junior High and Meridian High School. He also received a Mechanic Degree from Denver Technical College. Ron was a Sergeant in the U.S. Army and served in action during the Vietnam War. Ron faced many challenges throughout his life due to a car accident 29 years ago that left him a paralyzed from the chest down. He was self-sufficient, living on his own and driving his FAK50 car until May of this year. Ron was a strong, tender and caring man, great qualities for any man. Ron had a great passion for customizing model cars and all cars in particular. He received many awards over 20 plus years at the annual Roadster Car Show in Boise, Idaho for his unique eye for details, ideas and craftsmanship. Ron’s pride and joy was his FAK50 car; a 1950 Ford that he and Denton created from a 1992 T-Bird. Ron had a great ability to come up with practical and inventive solutions for any project or problem. Ron was preceded in death by his father, Melbert; mother, Jean; and half-brother, Jerry Sherrill. Ron is survived by his brother, Denton Fuehrer (Bonnie Cravens), his son Mike Fuehrer and his son Maddix, a granddaughter, Aydan and a Very Special and Caring Ex-wife Darice Peltier. Ron also leaves behind his cherished FAK50 car for all to enjoy. A Special Thanks to the care providers at St. Alphonsus Medical Center, Genesis Health Care, Meridian Center and St. Luke's Hospice Care. A committal service will be held Wednesday, August 15, 2018 at 10:00 a.m. at the Idaho State Veterans Cemetery located at 10100 N. Horseshoe Bend Rd., Boise, Idaho. In memory of Ron wear your “Hot Rod” attire when attending his funeral. In lieu of flowers, please donate to your favorite charity.